FRIDAY!!!! Hallelujah, we have arrived my friends. How was your week? It’s been a busy one over here, but overall it was MUCH better than last week. Much, much better. And now we’re cruising into Spring Break and I could not be more excited for some down time. It seems like life has been extra crazy lately, so I think we’re all looking forward to a little extra rest next week. I’m actually going to force myself to not work, which is honestly really hard for me because I LOVE what I do, but breaks are important. We’ll see how it goes! Anyway, in other news, I was browsing online for some new spring home decor the other day and I decided to dive into the wonderful world of Etsy to see what I could find. I’ve talked about it a few times before, but I seriously love shopping on Etsy. 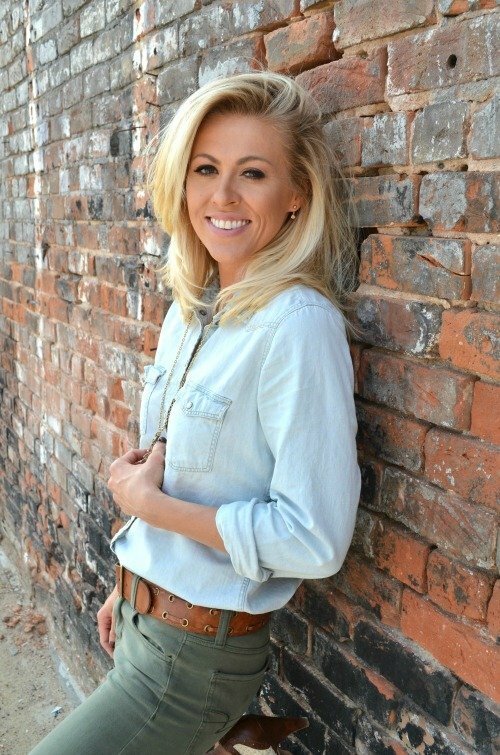 Not only is it full of the most amazing small shops, but it’s a great place to find unique farmhouse style items that you would never come across at a big box store. And you never know what you’re going to find! There are literally hundreds of thousands of items and the possibilities are endless. You can find just about anything your little heart desires! I know you all love Etsy as much as I do, so today I wanted to share 10 awesome farmhouse spring decor items that I think you’ll love. Hopefully this helps if you’re in the process of freshening up your home with a few new goodies for spring! 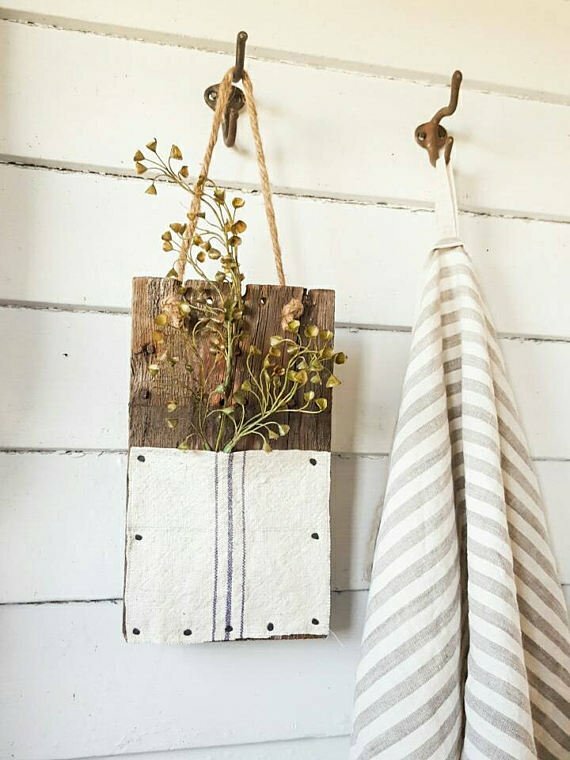 How cute is this grain sack wall sconce made from an old piece of barn wood?! Gosh I LOVE this thing. It’s perfect for a few faux flowers or greenery for spring, but really you could easily use this all year round. When I think of spring florals, peonies are always one of the first things that come to mind. 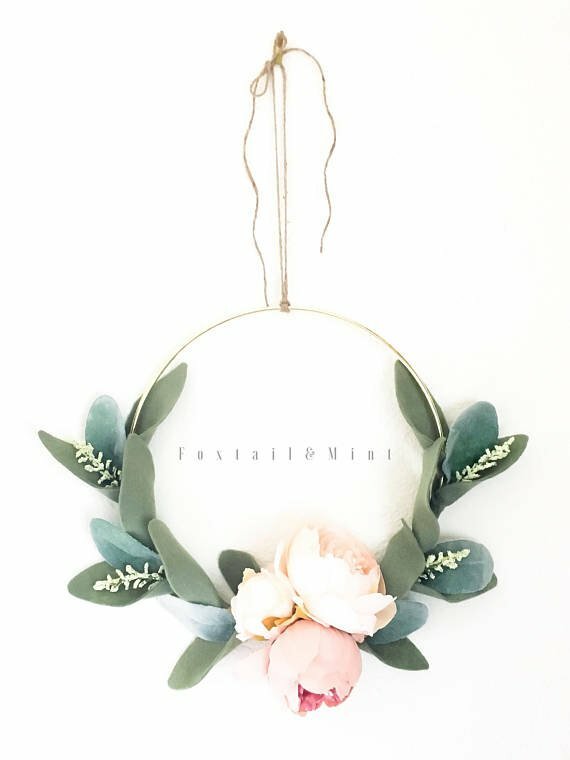 I found this beautiful peony hoop wreath and instantly fell in love. Isn’t it so pretty?! I just love these hoop wreaths–they’re so dainty and there is something very whimsical about them. This one comes in three different sizes! 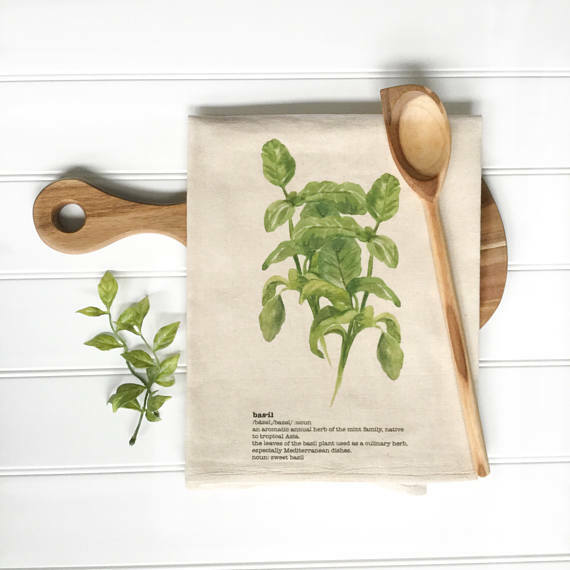 I love this basil tea towel! It would be perfect to freshen up your kitchen for spring and summer too. And if you wanted to get crazy you could even trim it down and frame it for easy kitchen decor! 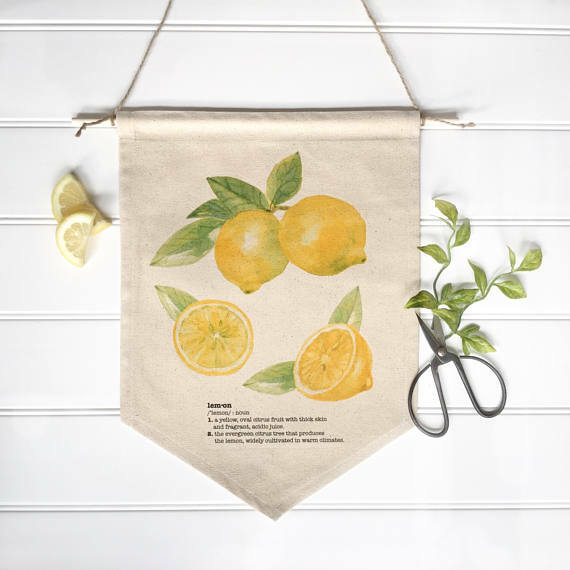 I also found this adorable lemon banner that I am obsessed with. It would be awesome decor in the kitchen, but I could also see this hanging from an old hutch or cabinet in the dining room. 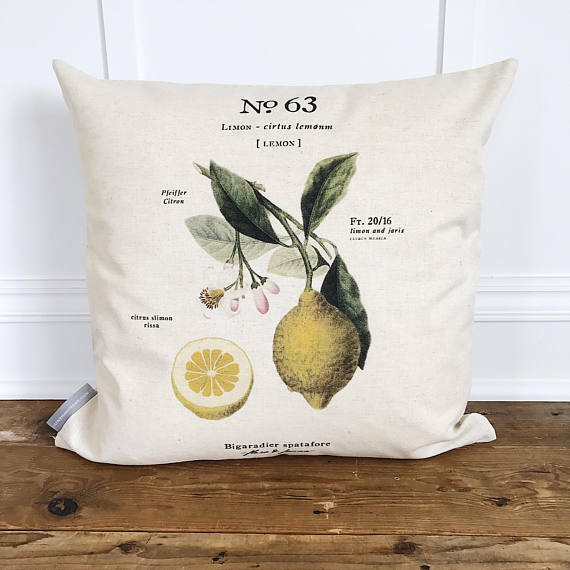 Speaking of lemons, how perfect is this vintage inspired lemon botanical pillow?! I actually have this pillow cover and I just brought it out for spring and summer. 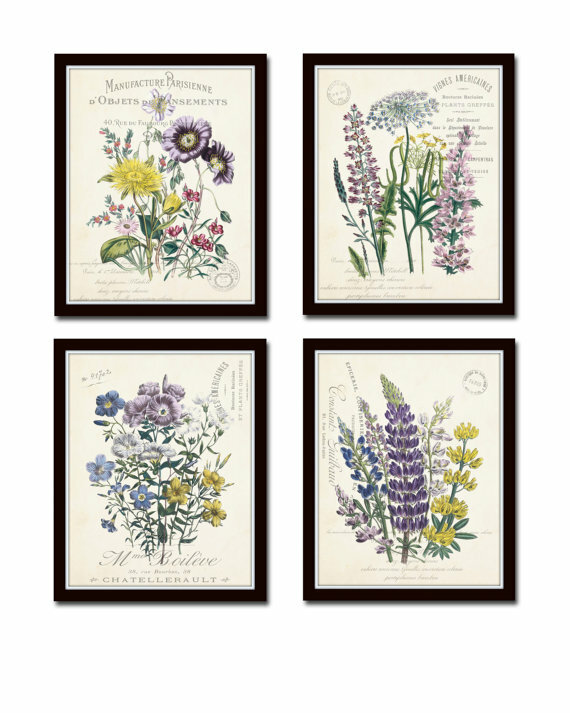 I am totally crushing on these vintage French botanical prints! Aren’t they beautiful? You can order them in various sizes and they come as a set of four. This cool shop also offers lots of other amazing antique inspired designs and free shipping too! 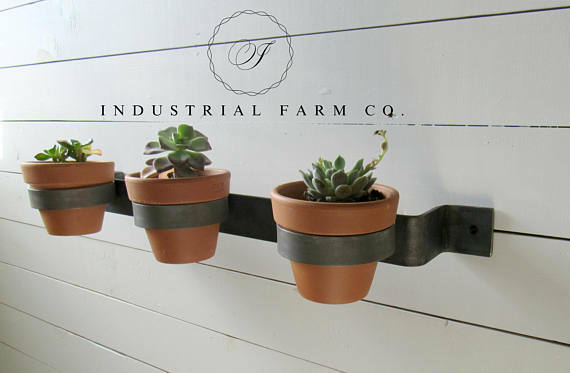 This industrial style wall mounted planter would be so cute for fresh herbs or succulents in the kitchen. Or you can just play it safe and go with faux if you struggle with keeping plants alive like I do! 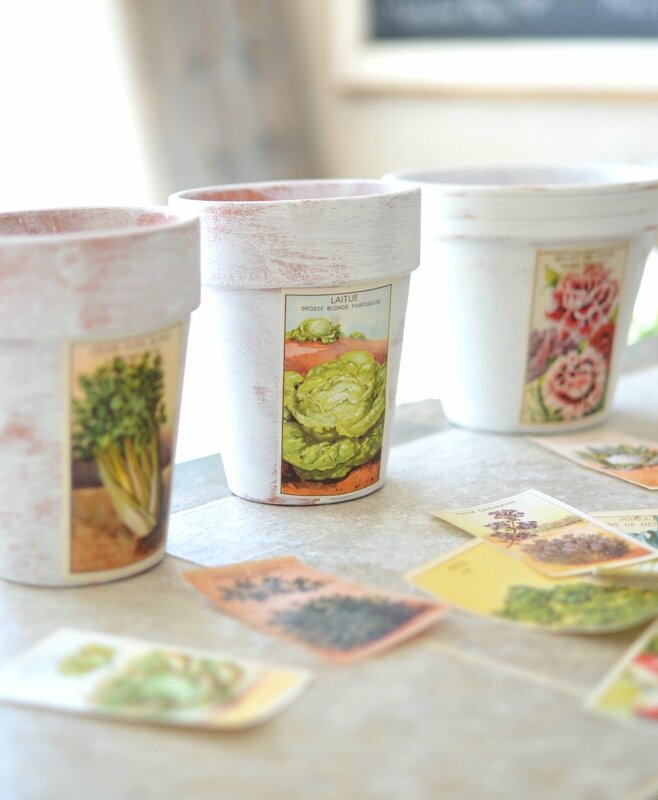 I used these French vintage seed packets last year for some fun DIY painted pots, which you can see in this post. I was happy to see they’re still available. I love these and they could be used in lots of different ways. Plus they are super affordable and free shipping! 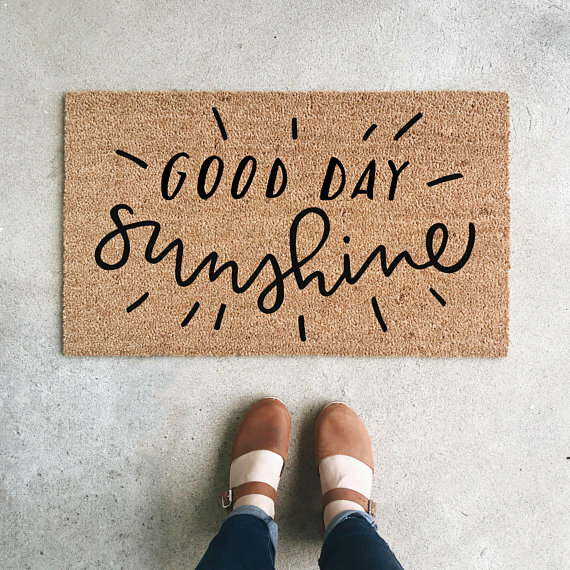 I always love getting a fresh new doormat as the seasons change and this “good day sunshine” mat is absolutely perfect for spring and summer. So darn cute, right?! Who knew that Etsy is full of awesome and unique doormats. 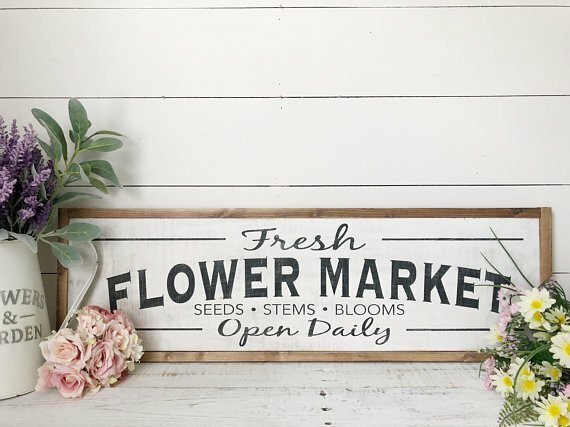 This fresh flower market sign would look great on a mantel, open shelving, or even hanging in a gallery wall. I love this one and the size is perfect! Lots of great ideas Sarah! Thanks for sharing! Yes!! I made it bigger and darker so it’s easier to read. Thanks for stopping in Angel!! Great finds Sarah!! I’m loving all the botanical goodness!! That industrial wall planter is my jam!! I’d definitely have to keep it faux though lol. Isn’t that industrial wall planter cool Nicole?! I love it! The larger darker font on this post is great! Is it my iPad or did you change it? All cute springy stuff here….thanks for sharing! Yes I did change it Faith. It’s now bigger and darker so it’s easier to read!